SARATOGA, Calif. (KGO) -- A Saratoga man was sentenced to a three month prison term and three months house arrest after pleading guilty to managing an elephant ivory trafficking operation. Sharham Roohparavar was sentenced Thursday for illegally trafficking elephant ivory. The sentence was handed down following a guilty plea that Roohparavar entered in July. Roohparavar, 61, admitted that he falsified documents so he could sell and ship protected, endangered elephant ivory to international buyers. He also admitted that he illegally sold other wildlife to international purchasers that have been protected by law. The United States Department of Justice says that Roohparavar sold leopard, helmeted hornbill and red coral. Officials say that he also ran a website that hosted the wildlife sales. The selling and trading of elephant ivory has been largely banned and regulated since 1976. 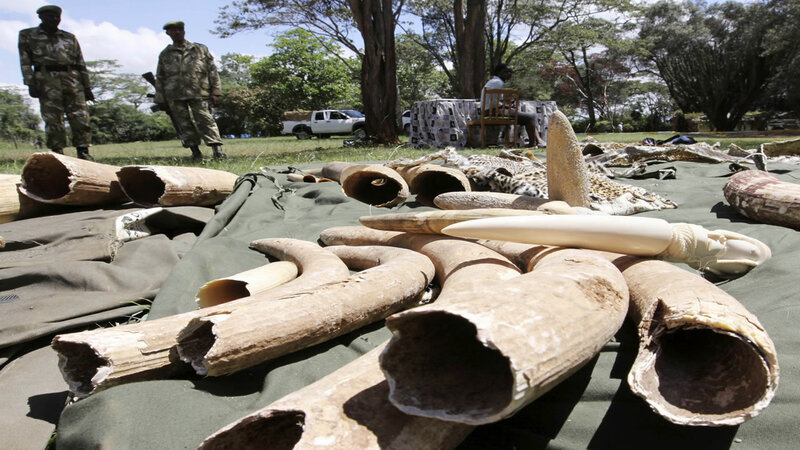 "Illegally wildlife trafficking presents a significant challenge for threatened and endangered wildlife like the African elephant, helmeted hornbill and coral," said U.S. Attorney Stretch. "This office will vigorously investigate and prosecute those people whose illegal activities threaten to drive these precious resources into extinction."